Snowden taught us that even the biggest tech firms can't keep your data safe from prying eyes. Enter Wedg: the DIY cloud-storage hub. 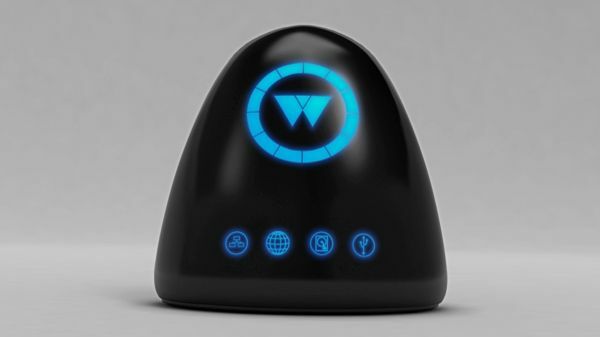 Designed to keep your data secure, the Wedg is a portable cloud-storage device that acts as your own personal cloud hub. The Wedg ships with its own dedicated smartphone app, allowing you to store data remotely via the internet in much the same way as any other cloud service - the difference iswhere your files are stored. Typically, cloud storage services like Google Drive or Microsoft's OneDrive let you store data remotely on their own dedicated servers. Since the Snowden revelations, it's clear these servers aren't exactly an impenetrable vault of data, so Wedg aims to put the storage back in your hands by providing a personal cloud storage solution. “Like many of us, when the Snowden report was published I felt instantly uneasy with the products that I had relied on and trusted with my digital privacy," says Shehbaz Afzal, CEO at Wedg Ltd in Manchester. Wedg offers 512-bit data encrpytion with SSL to keep your files secure, and ensures that your Wedg hub is the only place your data is stored - no off-shore data centres here folks. The Wedg comes with 1TB storage as standard, but it's easy enough to upgrade - just flip open the back and stick in an SSD of your choice. If you deem family or colleagues trustworthy enough then you can allow them access to your hub too. This way, businesses can still make use of cloud-storage, but in a safe and internal environment. The Wedg also has an open API so devs can make their own apps for the device, and will be able to store Bitcoins securely too, keeping your digi-dosh safe from pesky e-thieves. Shehbaz has just launched the Wedg on Kickstarter and is on the hunt for £90,000 in funding with 28 days to go - prices for a Wedg start at £149 for the standard 1TB version.